Be securely accessible from outside of the corporate network. Users should only type one URL and not have to specify port or protocol. When inside the corporate network, users should not be using SSL (HTTPS). User experience on the extranet should match the intranet. I chose Forefront UAG 2010 SP1 to meet the extranet needs. It can provide the security they required as well as would assist with reverse proxying, which would allow the users to not have to deal with specifying different URLs, ports, or protocols. 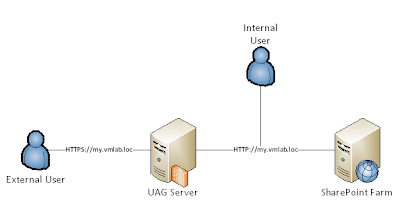 From a high level, the setup put the UAG server on the edge network and split DNS was used so that the URL would route straight to the SharePoint server from inside the network and to the UAG server when outside of the network. 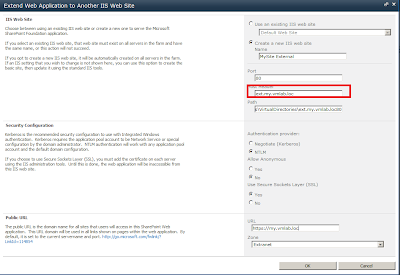 With this setup, SharePoint pages were served up through UAG and if a user didn't specify HTTPS, the UAG server would redirect all the links to SSL... or so we thought. During testing, it was noticed that on the My Sites page, users' pictures were not displaying in the out-of-the box Silverlight Organizational Chart web part and were instead replaced with a "green shirt" icon different from the one displayed when a user has no picture uploaded. This was only occurring when accessing the site through UAG and only with the org chart web part. Profile pictures showed up in other places. 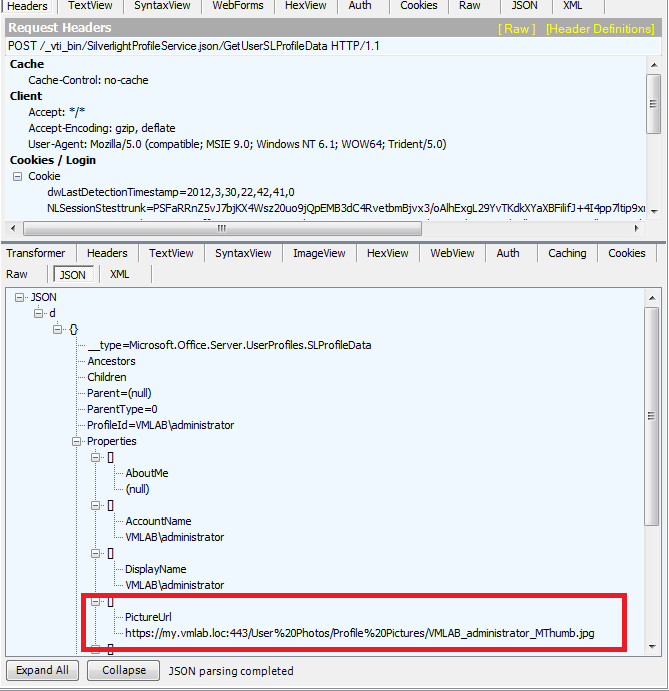 I opened up Fiddler to check out what was going on, and discovered that the link for the picture in the Siliverlight app was coming through as HTTP in the JSON code, and was not being converted to HTTPS by UAG. UAG does not inspect the packets coming across it for SSL redirects; they are only done in the headers. The image URL for this web part was inside of the JSON code, which UAG does not alter. Pictures showed up fine in other places because they are loaded into the page with GET requests, which UAG does alter. 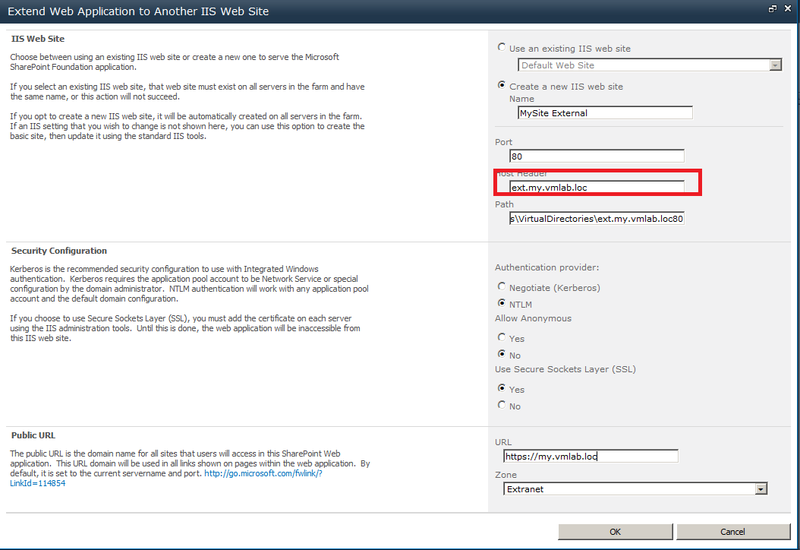 I needed to find a way to force SharePoint to send SSL URLs to users accessing through UAG, but not accessing it from the corporate network. I also had to make sure that the users didn't have to type a different URL, port, or protocol. 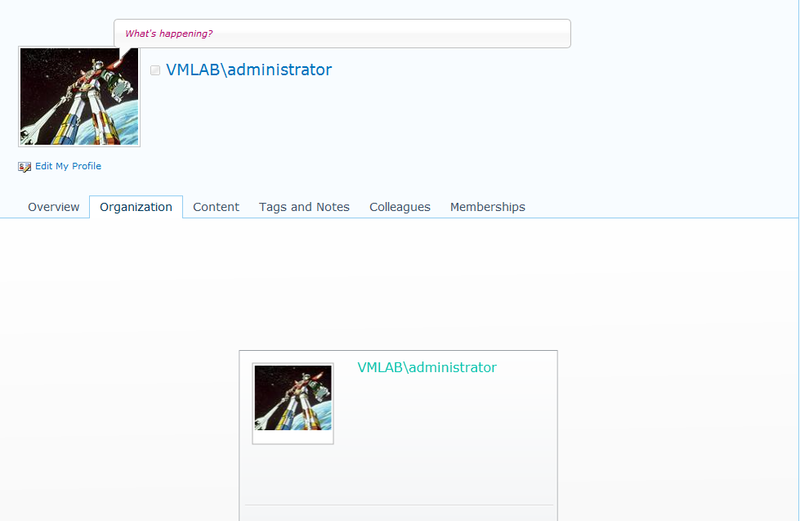 User types, "my.vmlab.loc" into the browser. 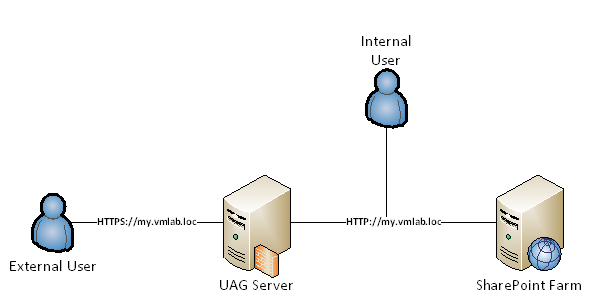 UAG redirects to "https://my.vmlab.loc" and forces user to log in. 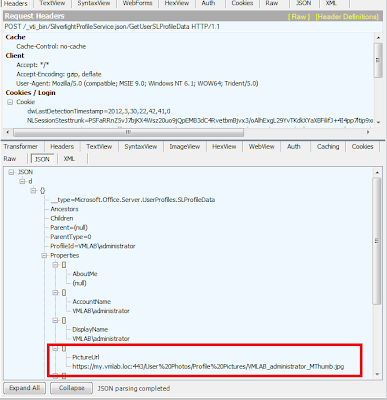 Once logged in, the UAG server initiates a new connection to the SharePoint farm on behalf of the user with non-SSL. 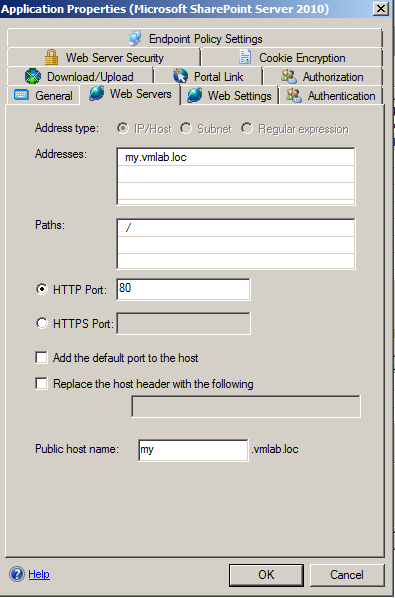 That is, "http://my.vmlab.loc." SharePoint sees this request coming in over port 80 with a host header of, "my.vmlab.loc" and directs it to the IIS site hosting My Sites. SharePoint sends the requests back to the UAG server as, "http://my.vmlab.loc", which then sends it back to the user as "https://my.vmlab.loc." The kink in this process is that SharePoint always believes all requests are coming from, "http://my.vmlab.loc." This is correct in that both internal network users and UAG are not expecting to communicate over SSL. The problem is URLs generated from scripts that are not redirected by UAG are getting sent back to the client with the wrong protocol. 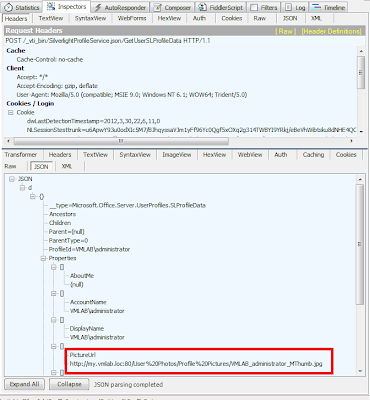 Once logged in, the UAG server initiates a new connection to the SharePoint farm on behalf of the user with non-SSL. 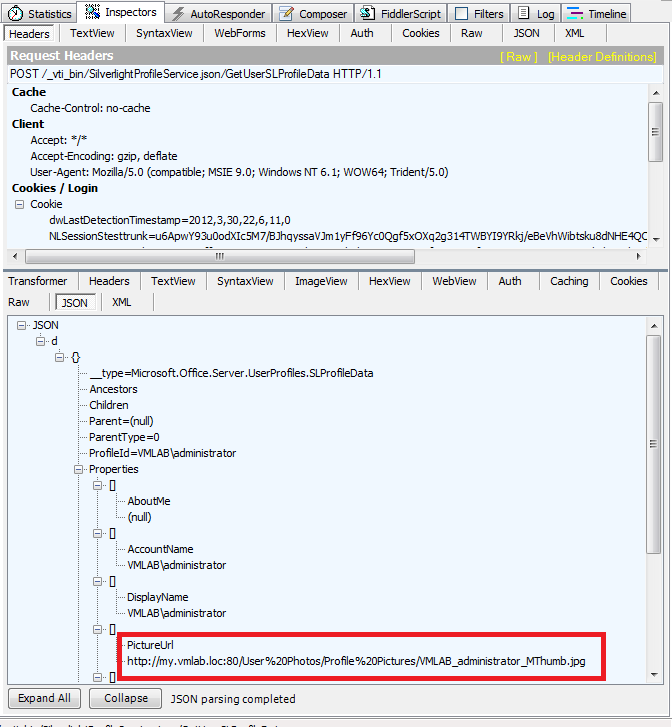 This time, UAG will send down a "dummy" host header so that SharePoint knows that the request is coming from UAG. In this example, I went with, "ext.my.vmlab.loc." 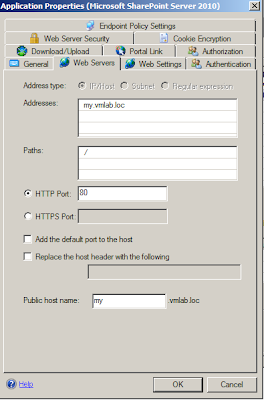 SharePoint sees this request coming in over port 80 with a host header of, "ext.my.vmlab.loc" and directs it to the IIS site hosting My Sites because of the AAM. 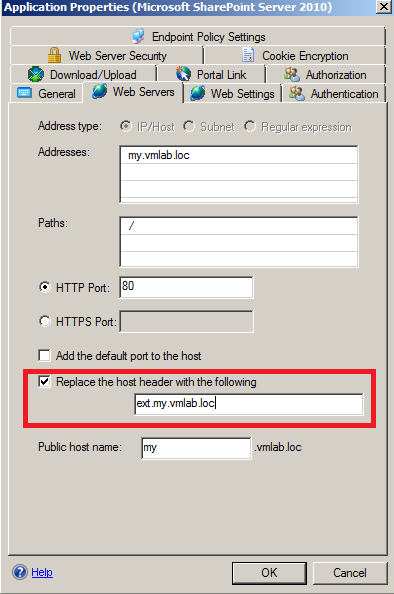 SharePoint sends the requests back to the UAG server as, "http://ext.my.vmlab.loc", which then sends it back to the user as "https://my.vmlab.loc." The key point here is that with the AAM in place, when SharePoint gets a request with the host header of, "ext.my.vmlab.loc" it will generate scripts using the public URL we specify. Note that SharePoint now knows to send out, "https://my.vmlab.loc" when it gets requests with, "ext.my.vmlab.loc" as its host header. 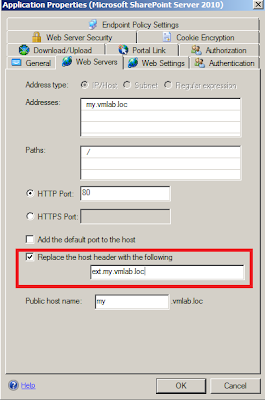 This setup will not break functionality from within the network, as the AAM for "http://my.vmlab.loc" still maps to non-ssl and does no altering. More than once, I've had a client who's attempted to clone their virtual production SharePoint 2010 farm for development testing and run into errors. The most common steps they take once they clone the system is to assign the network interfaces new IPs and rename the host names. This is not enough as both SQL Server and SharePoint will have references to their old names in their configurations. I don't recommend this method for a couple reasons and suggest that you should build a dedicated development farm that matches the configuration of your production environment. One issue is the cloned machines will retain their system SIDs and it's recommended that a cloned VM be generalized with Sysprep to address this. Also, if your Farm has jobs or processes that effect other systems, for example your Profile Service writing changes to Active Directory, those jobs will attempt to run. Clone your farm member servers using your hypervisor's built in methods. Make sure the virtual adapters on the cloned machines are not connected. This will prevent network IP and NETBIOS name conflicts when they power on. Assign the machines new IP addresses but still don't connect the virtual interfaces. Once the systems come back up and are renamed, you may connect the virtual interfaces. Restart the SQL Server service to allow the changes to apply. Rename-SPServer -Identity "SPWFE01" -Name "DEV-SPWFE01"
New-SPAlternateURL -Url http://newserver -WebApplication http://oldserver -Zone "Default"
Add any domain accounts, if needed, to the web apps and Central Admin. You probably will have to recreate your UPS application as it will have references to your old server names. 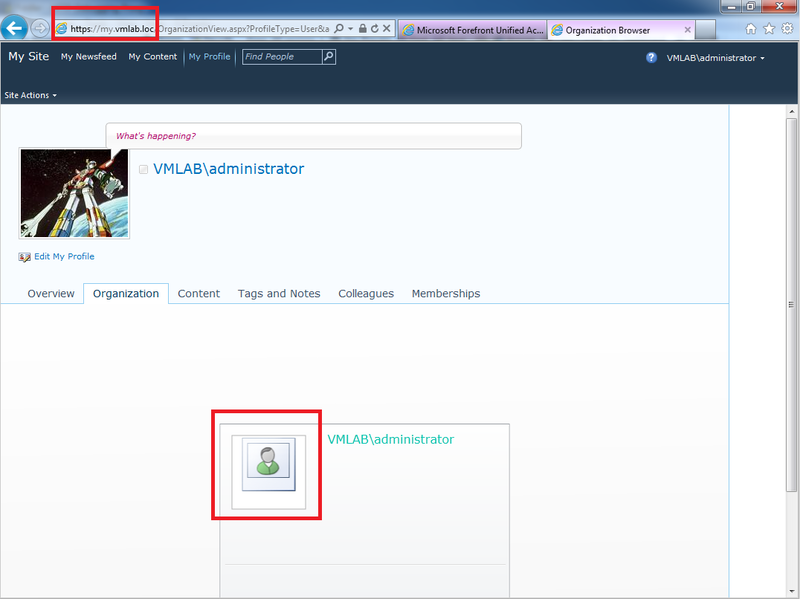 Go to Central Admin > Manage Service Applications and highlight User Profile Service Application. Then click Delete in the Ribbon. Do NOT click the checkbox in the dialog box that pops up. Leaving this unchecked keeps the UPS data. Delete the SyncDB, as it is only used by SharePoint as a staging area and does not contain useful data. Create a new User Profile Service Application and provide the exact names of the Sync and Social databases as they exist in SSMS. Once the UPS application is created, add your content search account as an administrator with the permission “Retrieve People Data for Search Crawlers”. Restart the UPS Synchronization service. In Central Admin go to Manage Services On Server. Start the User Profile Synchronization Service. Supply all needed information in the prompts. "We were unable to deliver a package to you today"